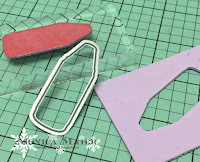 It's the last day of the month and that means it's time to end our January challenge over at the Die Cut Diva's blog. Our sponsor this month as been One Happy Cut! We love and appreciate having them as a sponsor!!! There were tons of wonderful projects, good luck to each and every one! For my last card I decided to use something new on my card. The sentiment is from a new set and the other images are tattoos! I started by die cutting my top panel and stamping the sentiment, then decided to add some pattern paper to add more of the color. Before adding the panel to the cardbase, I wanted to add the two little chains to "hang" the panel from. 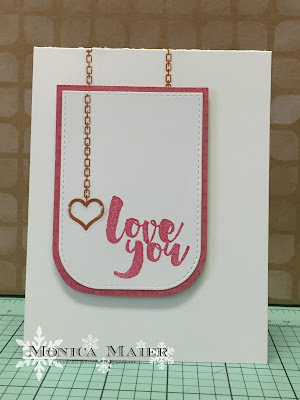 I added a little more of the chain and the heart charm to the panel next to the sentiment. To add the tattoos to paper is much the same as putting them on skin. 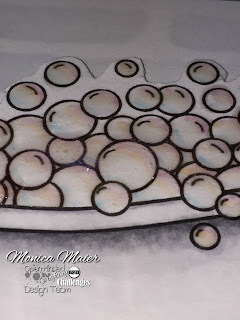 You just have to be a little more careful with the amount of water and try not to get much on the cardstock. I used a paint brush to focus the water to the areas needed. I thought this was a fun and new way to use tattoos, with three boys in the house I do tend to have a stock pile of them from birthdays and parties at school. Maybe I'll use some for invitations or thank you cards! Don't forget to visit the Diva blog tomorrow for our February challenge. 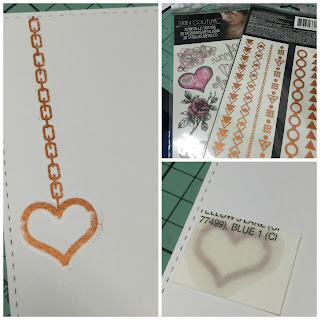 Just stopping in with a peak of my post today over at the a2z scrapbooking challenge blog! Head over to check it out and don't forget you still have a few days to play along with our challenge this month. Hope to see you there! 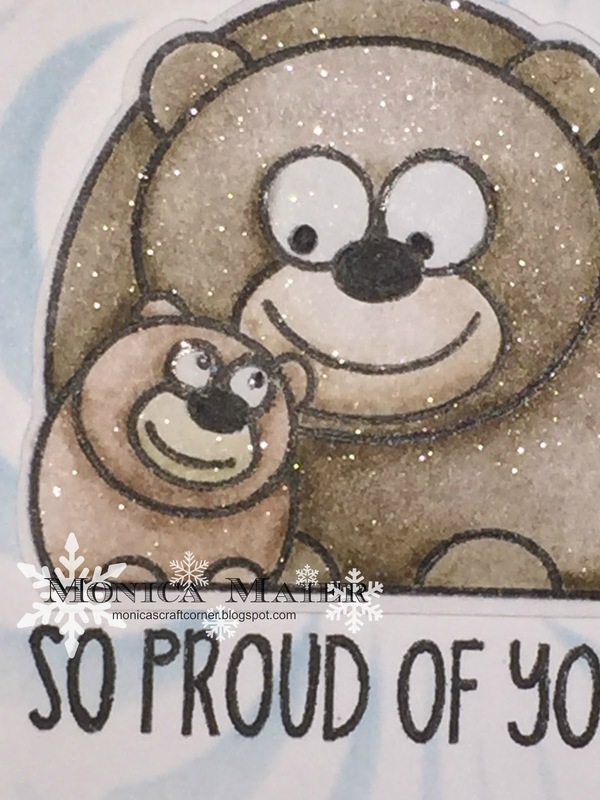 If you are in need of any new items from the a2z Scrapbooking store you can use code Monica15 at checkout to receive 15% off your purchase of $25 or more. (before tax and shipping) And don’t forget that we are onTwitter, Instagram and Facebook. Follow us on these different social media outlets so you won’t miss out on any fun promotions! 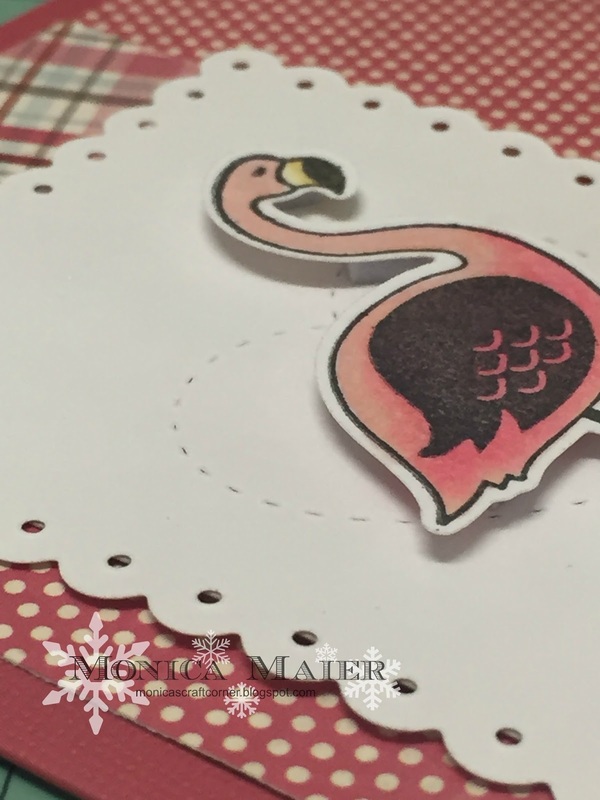 Please head over to the DCD blog to see the full post and don't forget to play along for a chance to win this month. 10 days left! Thanks for stopping by and have fantastic day!!! Hello everyone! I'm here today to announce my newest Design Team spot! :-) I am now a member of the Open-Minded Crafting Fun Challenge design team, yay! 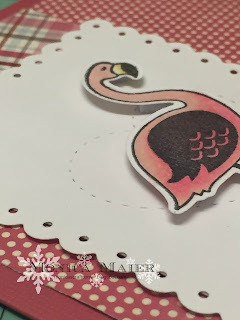 For my first card on the team I used an image from DoodlePantry, I've always wanted a vintage tub stamp (I'm not sure why). So when I saw this image I knew I had to have it. I started by printing my image on cardstock and pattern paper (which was a first for me). 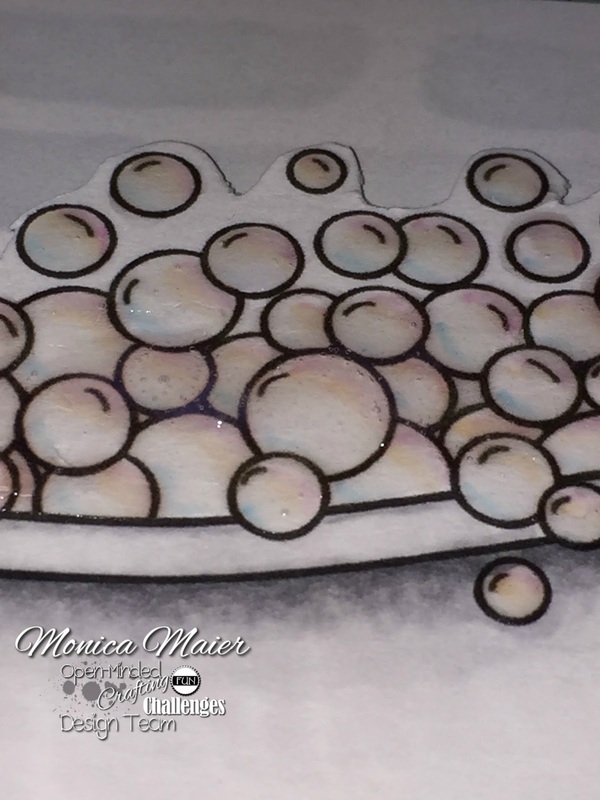 I colored my image trying to mimic the multiple colors you see in a bubble (new) and fussy cut both it and the pattern paper towel. I used a stencil and some gray ink for the brick wall and used the same pattern paper for the floor. I felt it needed a little something more so I added part of a doily as a bath mat. I did pop the pattern paper up a bit for added dimension. I loved how the card turned out, even though I wasn't sure how some of my new attempts would work out for me! 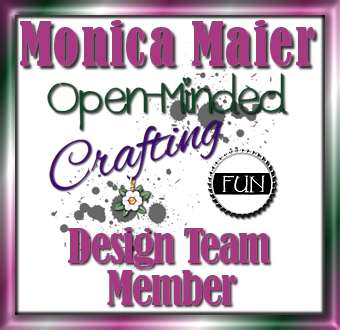 This month over at the Die Cut Diva's our challenge is something new and we welcome the ever wonderful One happy Cut as our sponsor this month! The something new can be anything from simply being a new item to trying a new technique. 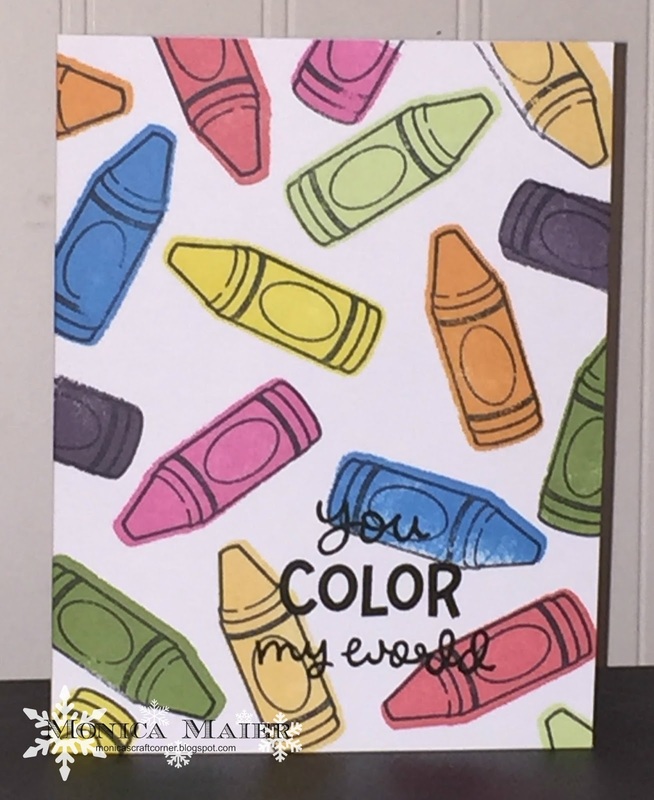 For my first card this month I decided to do a new technique. Now I did not come up with this, but after watching Jennifer McGuire's video I knew I had to give it a try. I made a stamp using a die and some fun foam, now talking about stretching the use of our supplies! 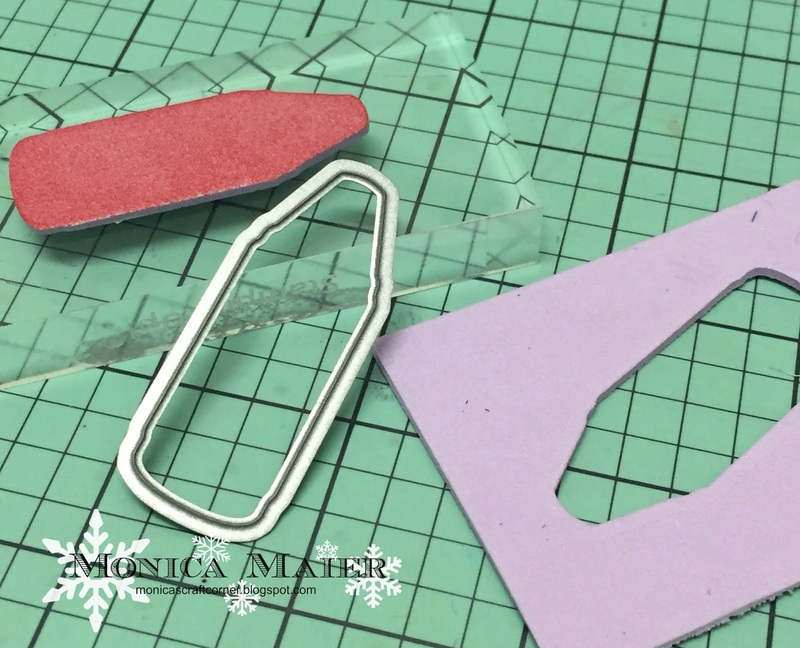 I started by die cutting my shape out of some fun foam and adding some repositionable adhesive to it. After I added it to my acrylic block I inked and stamped it like normal. 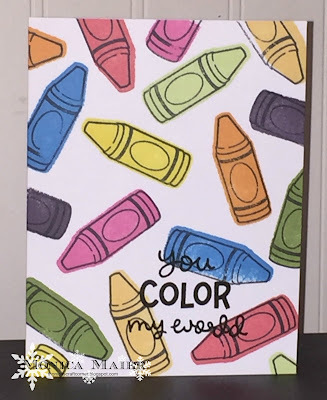 (Making sure to clean it off very well between colors) Once the background was stamped out, I used the stamp in the set to offset stamp the outline on the crayons. 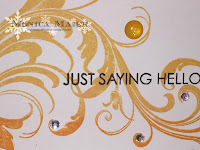 Don't forget to stop by the Diva's blog to play along for your chance to win! Hello all and Happy New Year!!! I can't believe it's 2016 already, last year seams to have flown by. I was a great year as I got to expand my crafty horizons when I was excepted onto two design team (one I'm posting for today). I was unbelievably excited and still am!!! 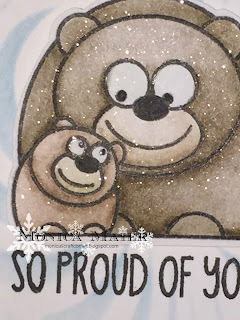 Today's card is for the a2z Scrapbooking DT. I was elated when they asked me to stay for another term! 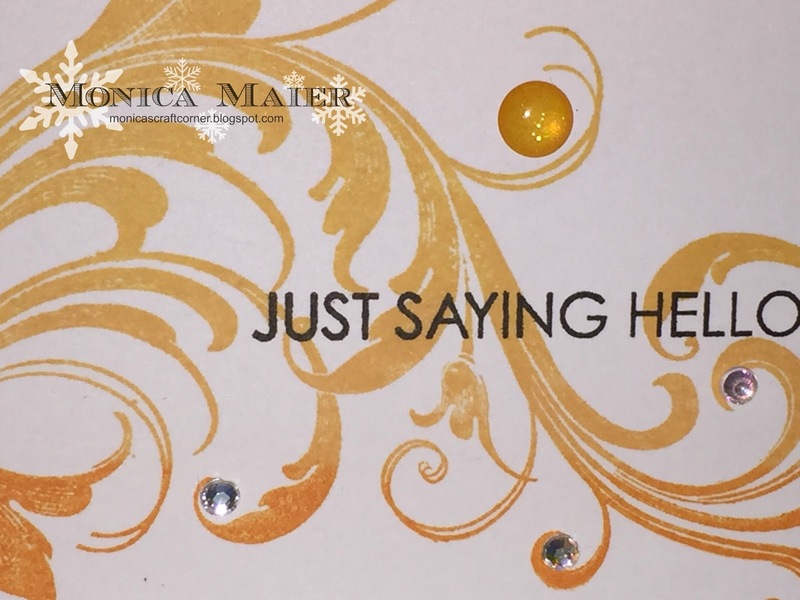 The challenge for January is Fireworks (add some glitter/bling to your card). I finally broke out my layering Hibiscus set for the first time! 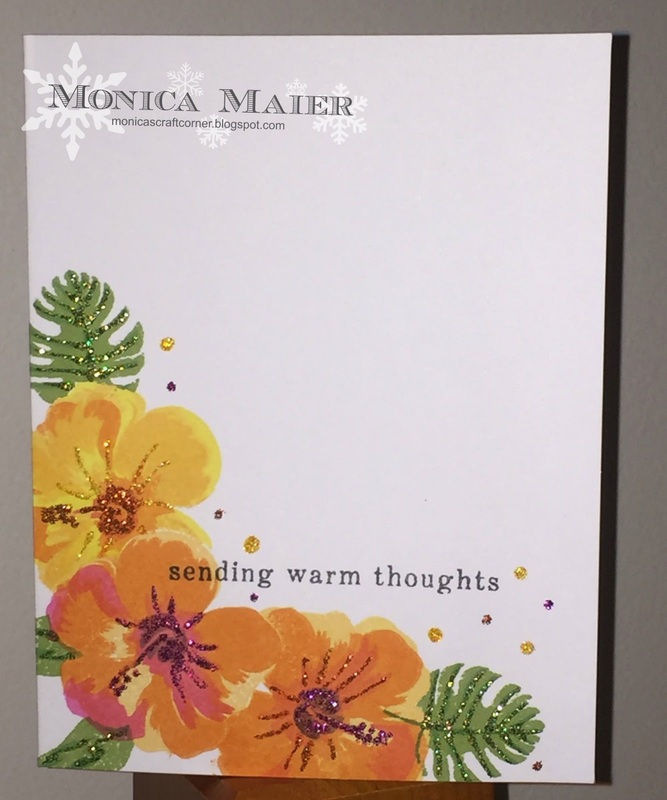 I started by stamping the flower in the corner, masked it and stamped the two on each side. 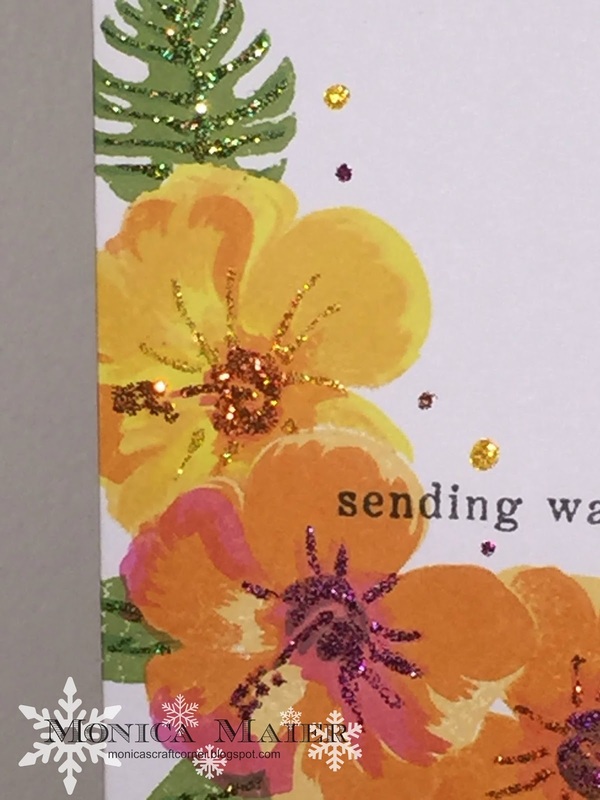 While it was still masked I stamped the layers on the side flowers, removed the mask to stamp the layers for the middle hibiscus and then masked and stamped the leaves. Added the sentiment (which will be appropriate for my friend in Colorado, who's birthday is in a few days). She's originally from California and loves the warmth and sunshine! Anywho... I digress! 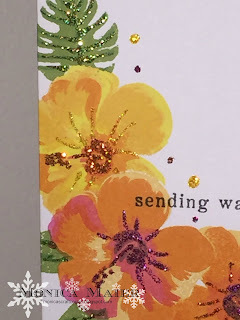 To finish my card I added stickles to highlight veins in the flowers and leaves, and dotted some around the flowers and sentiment. Can't wait to see what you all will dazzle us with this month. Visit the blog here to enter the challenge for you chance to win a $25 gift certificate to the store!